Let’s get back to talking about home improvement. 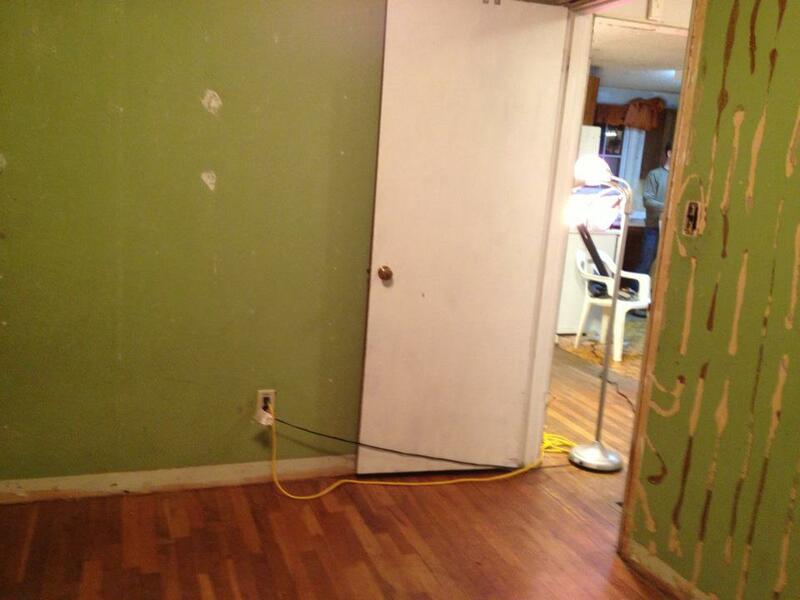 It had to have been a matter of days after we got the keys to the house before Matt and I took a hammer and a crowbar to the wall in the living room and the kitchen. 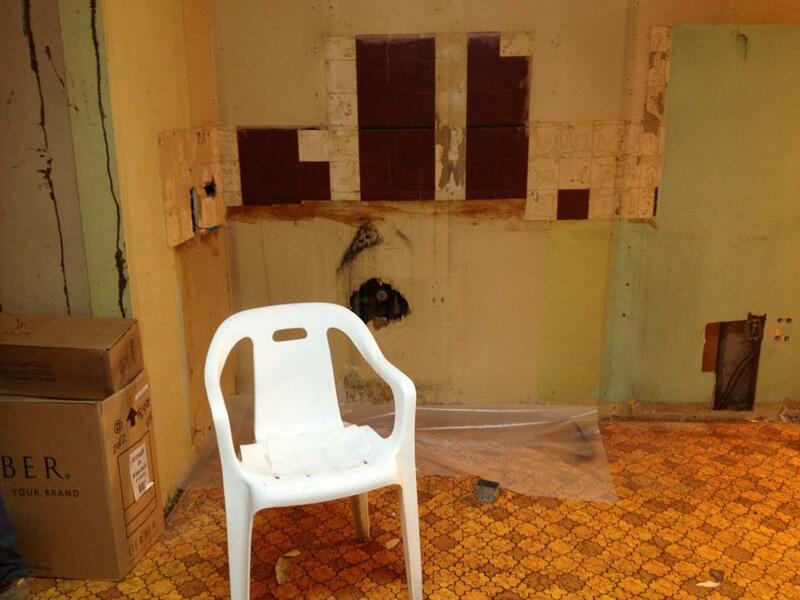 We took all of the wood paneling off and then proceeded to tear the drywall down. It definitely was but boy was it hard work. It took us about an hour or so before we found ourselves watching the dust settle in our new home with a big pile of crap in the middle of the room. It took a few trips to the dump to clear it all out and then Matt, my safety hazard chemist boyfriend, took a day off from work to remove the asbestos aka popcorn ceiling. 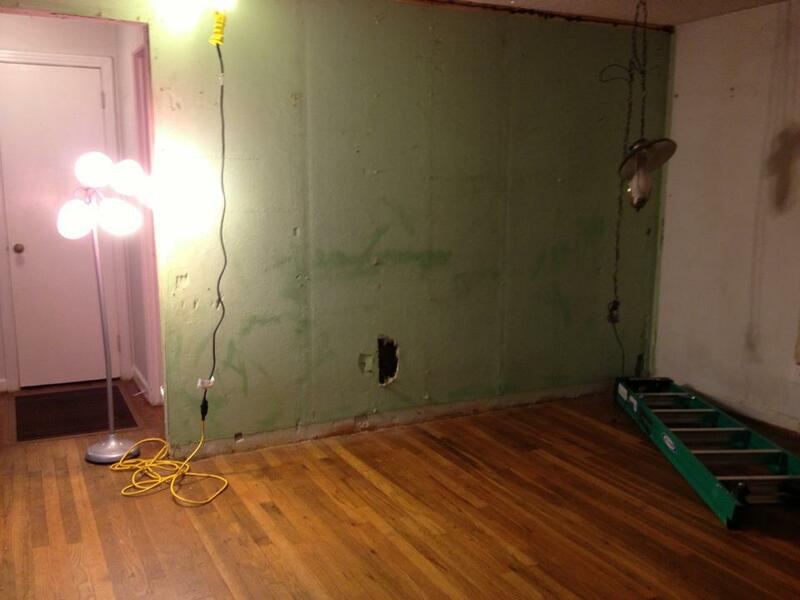 The spare room after the wood paneling had been removed. 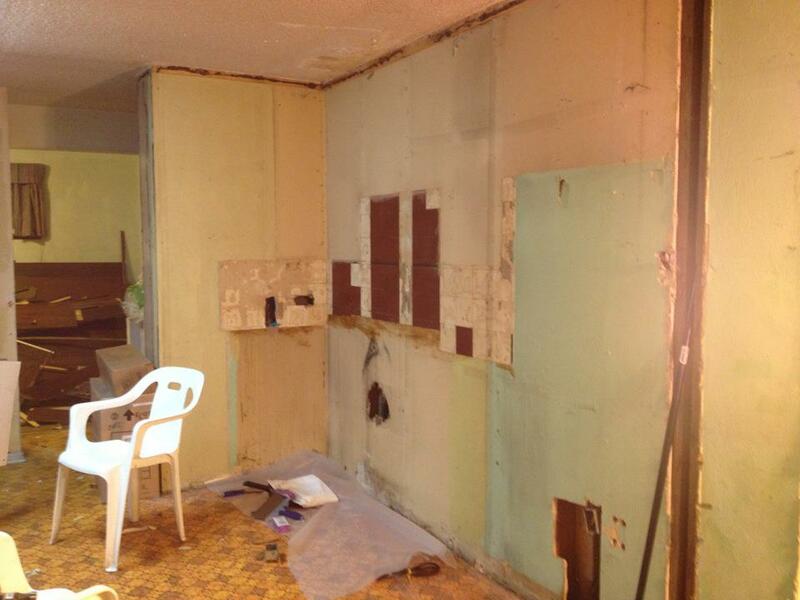 Our living room and kitchen after the wood paneling was removed. 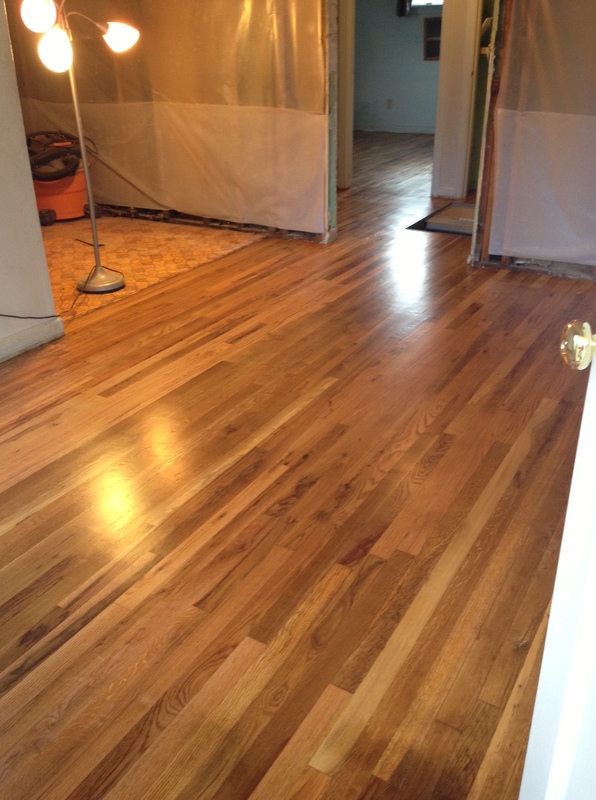 It wasn’t long after that we had the hardwood floors ready to be refinished. 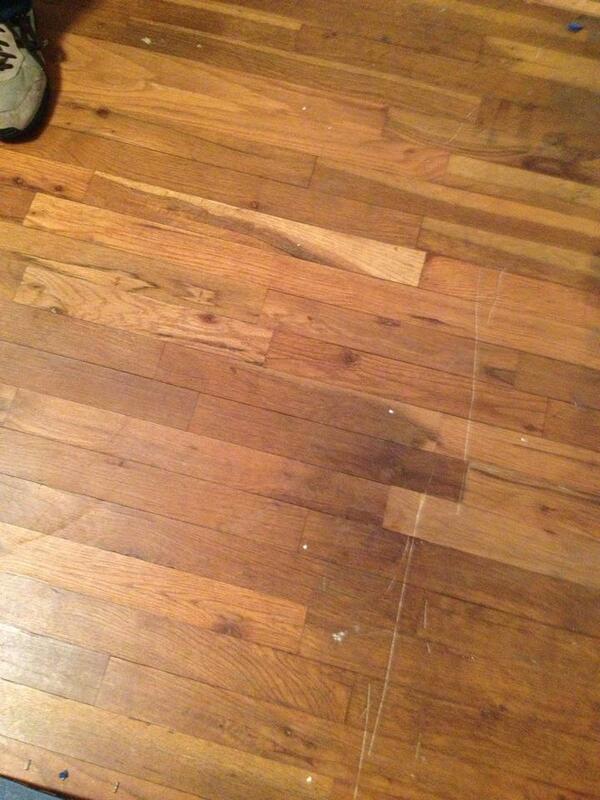 After years being covered up by a carpet, the floor was in relatively good shape, but it still needed to be done. Thankfully we did not attempt this ourselves. We had a professional come in who did it in a day. We weren’t able to set foot in the house for about 2 days though, due to the fume. 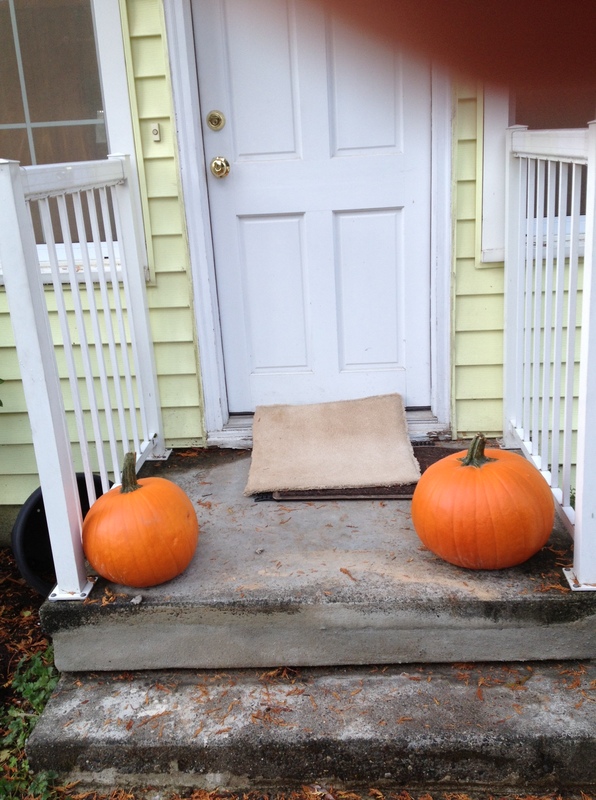 We stopped by on our way out of town for the weekend and to set some pumpkins outside the house to make it feel more like “home”. It’s just amazing what a little TLC can do! After the floors were done we had to get to work getting our bedroom ready for move in day. The following weekend was move in day! 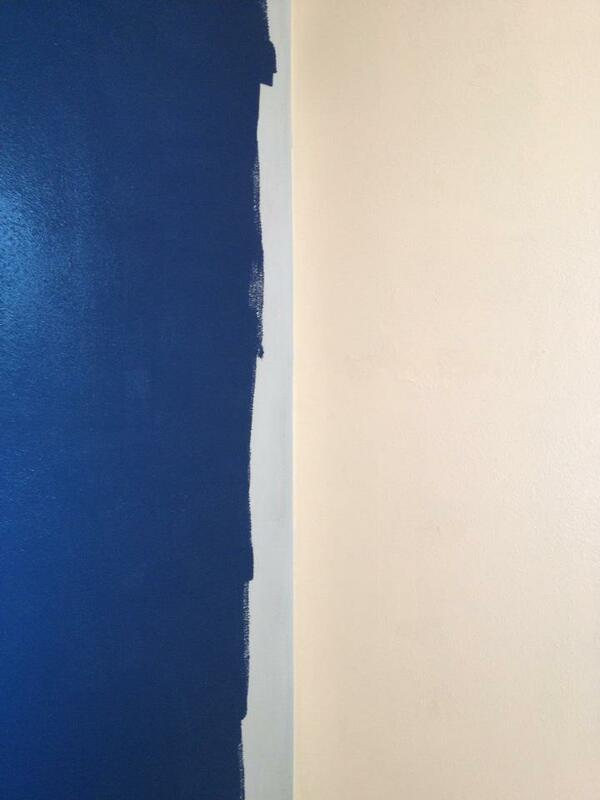 I took a day off work and my mom came over to help me paint our room. We wanted at least one room in the house that would be “done” and could be our sanctuary. Where we could close the door and not think about the mess on the other side. 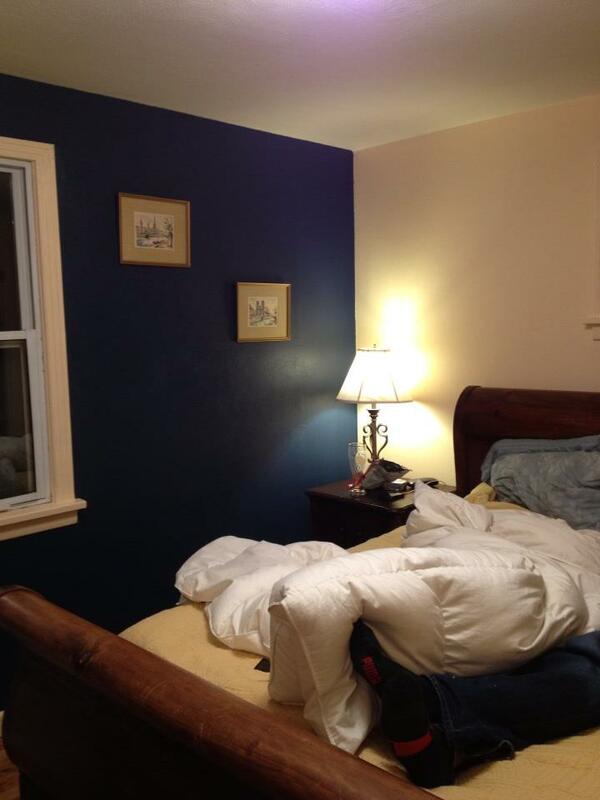 Matt and I had never really had to think about paint before and we didn’t really understand the process of matching colors, etc. 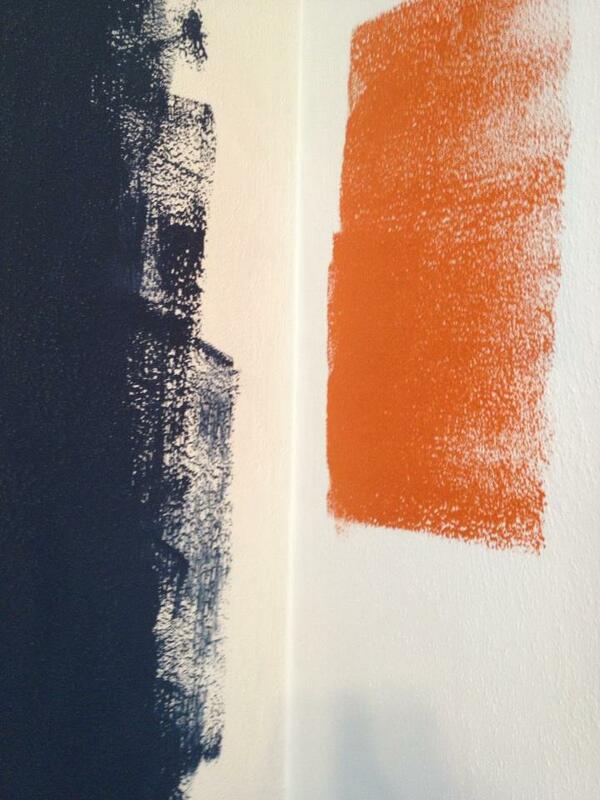 For some reason I really wanted a dark blue accent wall and for some reason Matt thought blue and orange sounded good. He showed me a picture in a book we borrowed from his mom and yeah, in the book, it looked good. 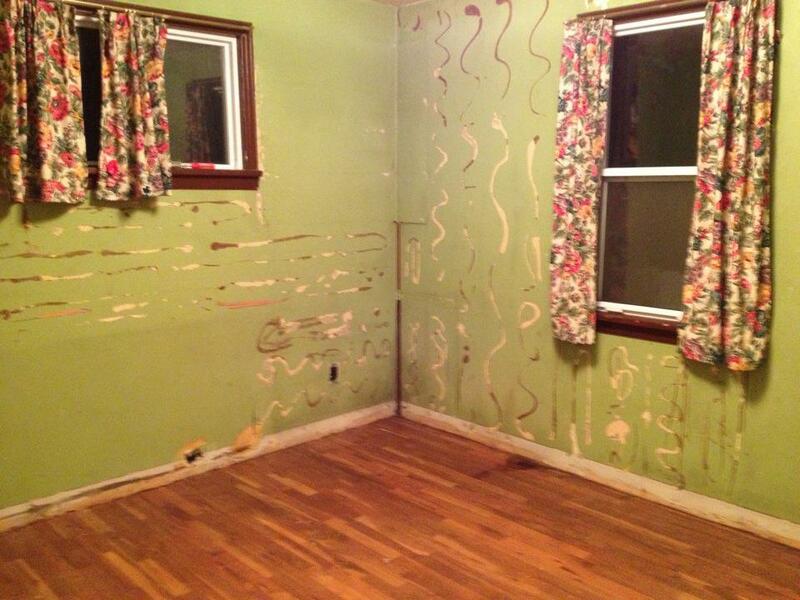 But what we bought at Home Depot, and what we started painting on our walls, did not. It was the start of a Denver Broncos room. There’s no room for the Broncos in Seattle. BOOM! Thankfully, before we had done much damage, my mother turned to me and asked if we really wanted these colors. So I called Matt to let him know our Denver Broncos accident was a no go and we went to Home Depot in search of a cream colored paint. 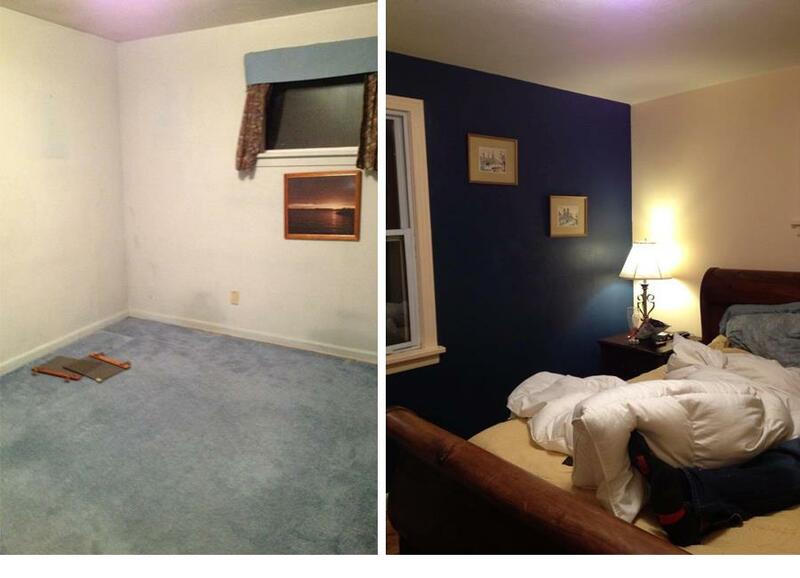 We finished the room in a day and the night we moved in we had gone from drab to fab!